Welcome to our new-look JAZZWA website. Through this site, we hope to connect you with the amazing jazz musicians, events and venues we have in this state. Our Gig Guide pulls together gigs from around this state. 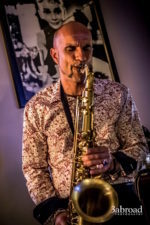 Our WA Jazz Directory lists musicians, organisations and venues. JAZZWA is committed to fostering and nurturing young musicians with our annual JazzNOW Jazz Camp. JAZZWA serves to promote quality jazz through projects such as the Jazzaziz compilation CDs of WA Jazz, Explorations and advocacy. See our Projects page for a list of current and past activities.